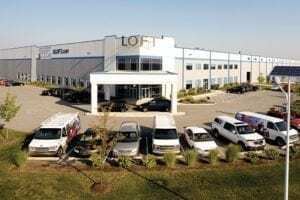 University Loft Company has two factories right in the Heartland of America. One is in Morristown, Tennessee where our upholstered products are manufactured, and the other is in Greenfield, Indiana, our headquarters where the hub of activity takes place. These facilities are where our skilled crafts people are on the frontlines manufacturing quality furniture with preciseness and care. Prior to the building of our heirloom furniture and other products from kitchen cabinets to soft seating, from loft beds to Murphy beds, our Uloft team goes to the idea room and begins creating innovative products to improve your furnishing needs. 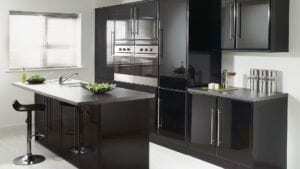 For our solid wood furniture, we start with strong timber that is environmentally friendly. Our wood comes from the Hevea Brasiliensis tree. This tree produces hardwood with a soft design in its grain. The trees are utilized throughout their lifecycle for their latex production. When they stop making latex and have come to the end of their lifecycle, they are cut down and used for furniture and other hardwood items. 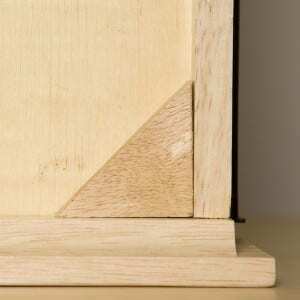 Our furniture is built with state-of-the-art engineering methods, like English dovetail joints, corner blocks, and frame-in-frame construction. The drawers pull out completely with full-extension door glides, and our wardrobes have hinges that allow the doors to rotate 270 degrees. The drawers feature 100-pound test metal drawer side panel. University Loft Company also offers an array of fabrics and finishes. You might find the hardest part about selecting one is deciding on which fabric and finish you like best. We manufacture superior products for you. That’s the University Loft way. What do you need? Check with University Loft to see if we have it. You can see more of our innovative designs by browsing our catalogs. If you see something you like or have a question, you can contact us here or give us a call at 800-423-LOFT (5638). A qualified Uloft representative will be available to help you. We would love your business, and we can ship orders out at short notice. Ask your rep about our Quick Ship Program. As founder and CEO, James N. Jannetides says, “We’re committed to producing top-quality furniture that provides the best overall value.” That is what University Loft Company is all about.